When the topic of Vietnam arises, it’s usually about the nation’s capital, Hanoi. Especially if you’re the type of traveller who loves venturing into the unknown, Hanoi is the perfect place for you to visit to cure the travel bug inside you. However, if you’re the type who loves the beach, the sand, and the ocean, Phu Quoc has everything you’re looking for. At first glance, Phu Quoc is every thalassophile’s dream; what could be better when you have the sun, sand, and sea in one ideal location? However, looking deeper into Phu Quoc and you will see a thriving tourism industry that has been booming in the last few years. What’s great about Vietnamese food is its wide variety; it’s definitely more than just pho and banh mi. Vietnamese cuisine offers plenty of robust flavours while still maintaining its freshness. Seafood also plays a huge part in Phu Quoc’s identity with it being an island after all. One such restaurant is Nhà Hàng Sông Xanh, which features plenty of local dishes and ingredients in keeping with its tradition. It specialises in a wide variety of seafood and you can rest assured knowing that it will be fresh. 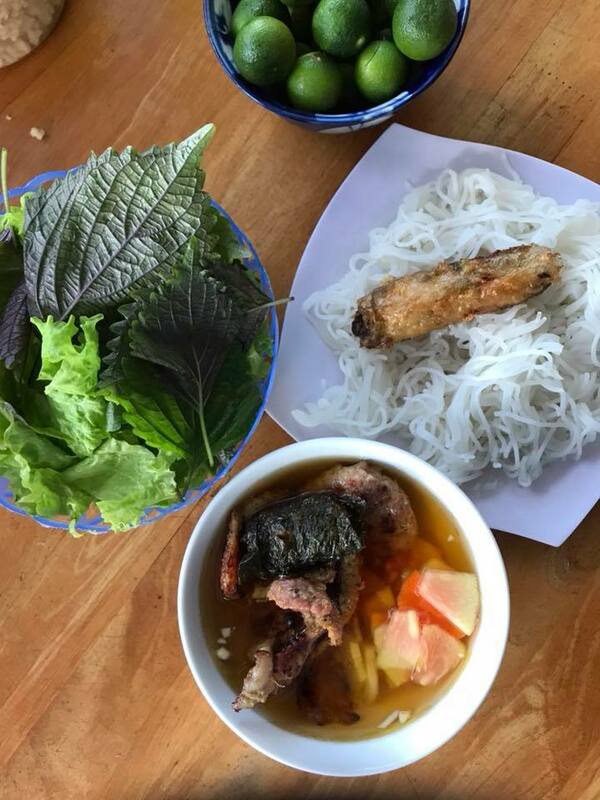 If you’re looking for something that is even more local, places like Saigonese Eatery and Bún Chả Hà Nội – Phú Quôc are the perfect options for you. Both places highlight authentic Vietnamese cuisine, with the latter focusing exclusively on bun cha. Of course, this is just a sample of the vast number of places Phu Quoc has to offer in terms of dining, whether it’s something made for locals or travellers. As a popular beach destination, you can expect a number of five-star hotels and resorts to pop up soon enough. Phu Quoc has plenty of choices for one to choose from, whether you’re looking to backpack or to go all out in a luxury resort. One such resort that transcends the rest is Premier Village Phu Quoc Resort, located on the Southern tip of the island. This private hideaway resort is the perfect getaway for those who are looking for some tranquillity and privacy while being able to enjoy the sound and scent of the ocean. 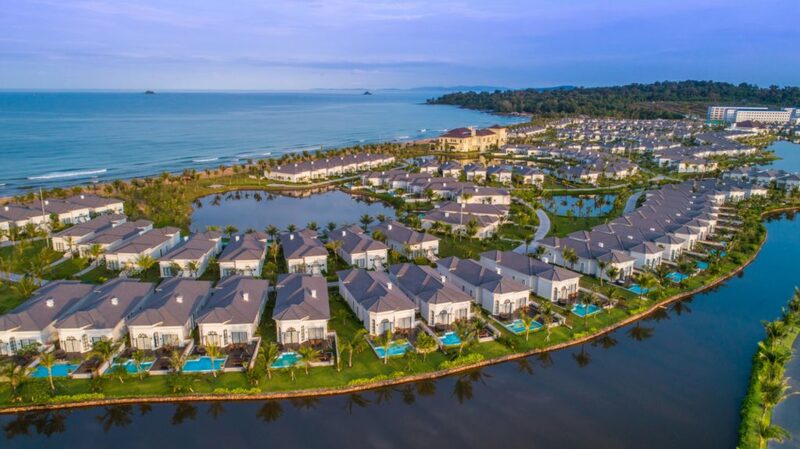 Vinpearl Discovery 1 Phu Quoc is another private resort that deserves a special mention. It’s towards the Northwest side of the island alongside other Vinpearl resorts, giving you more options to choose from. 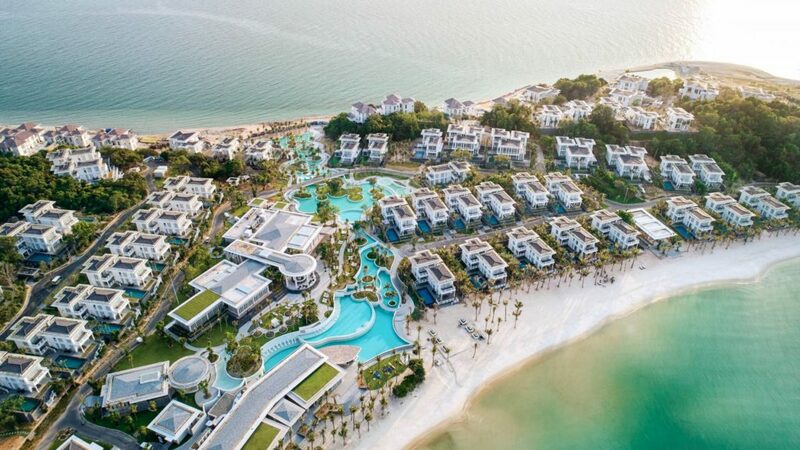 However, Discovery 1 would be the go-to choice with its lake and ocean view villas helping it take the lead. What makes Vinpearl different from the rest is its safari and zoo, both of which are located in Vinpearl Land amusement park. 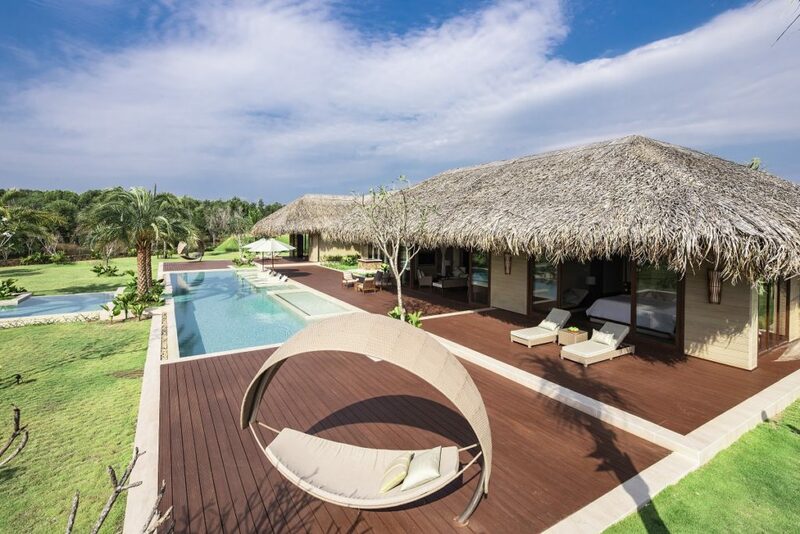 Another one to consider is the Fusion Resort Phu Quoc, which is just a stone’s throws away from Vinpearl. If you’re not even in Phu Quoc, it has hotels in other parts of Vietnam like Saigon, Da Nang and Cam Ranh to name a few. It describes itself as a ‘spa and wellness’ resort, allowing you to “get away from it all.” If you’re looking to splurge, check out their Presidential River View Villa with five bedrooms in total. Phu Quoc island is home to many beaches in its vicinity with unique experiences to offer. If you’re always on the lookout for the perfect sunset spot, look no further than Dinh Cau Temple, also known as Dinh Cau Rock. However, be sure to dress appropriately as the temple is highly respected by the locals — it is named after a deity who looks after the ocean. 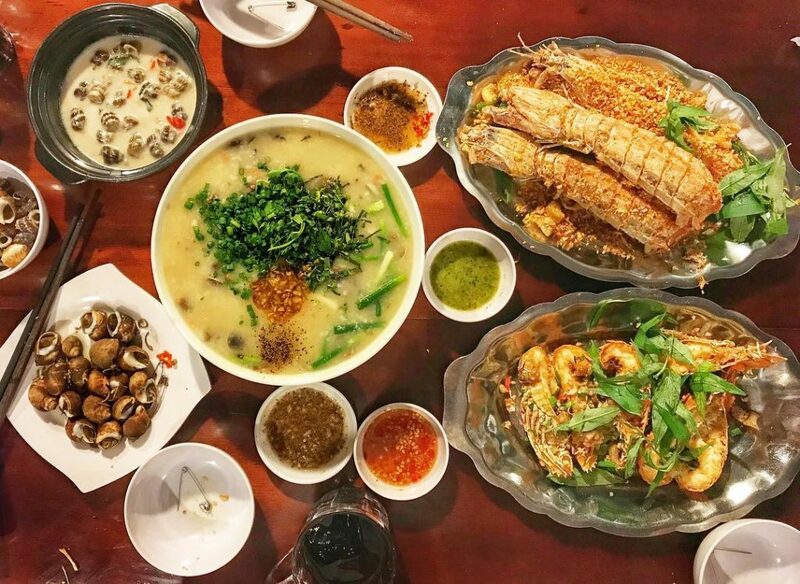 A short six-minute walk will lead you to the Dinh Cau night market, which is known for its bountiful wares of fresh catches of the day. It’s also a good place to shop for souvenirs with pearls, shells, and corals up for sale. For the best beaches around, be sure to visit either Dai beach or Sao beach; the latter being more popular amongst tourists. It’s located East of the island with a quiet water surface, making it much easier and safer when you wanna go for a dip. Dai beach, on the other hand, is on the West of the island and holds the title as one of the most beautiful beaches in the world. It spans up to 1,500m in length and is a short trip away from Turtle Island, which is known as the perfect destination for coral diving. 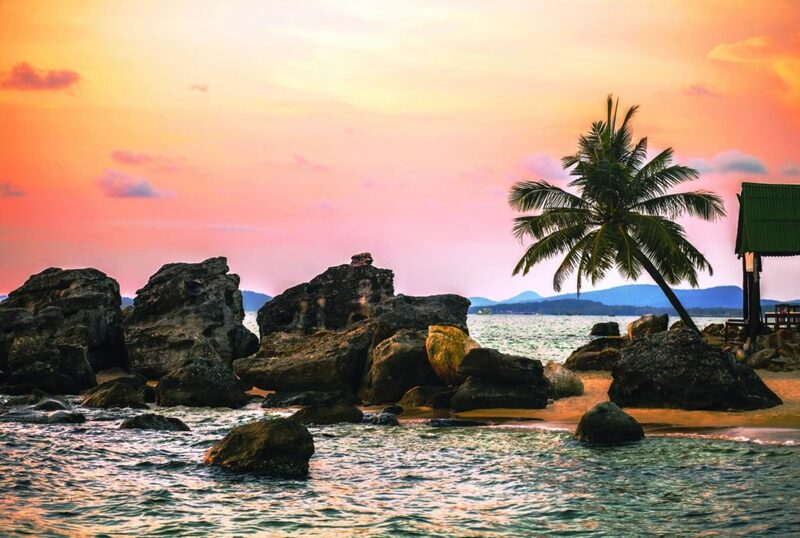 If reading this has given you a serious case of wanderlust, AirAsia is having plenty of promotional flights to and from Phu Quoc island.